On some fora, people have been asking how I scan my negatives, actually I’ve quit scanning, and digitise my 6×6 negatives with the Canon 5Ds high resolution camera, and a Canon 100mm Macro lens. 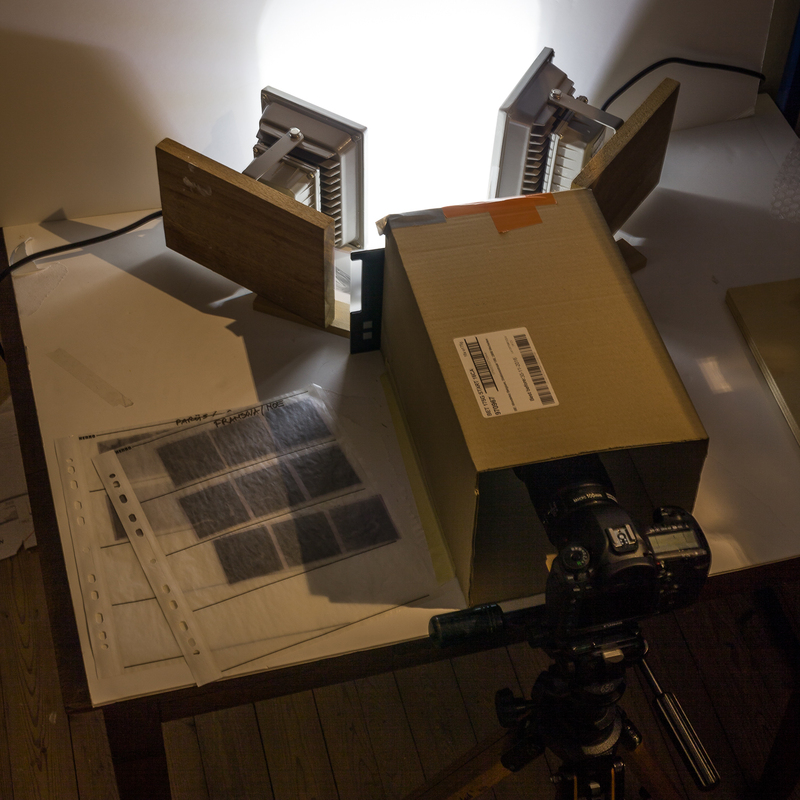 For me it is quicker than scanning, I get a RAW negative file to work with, and I had all gear I needed for building a simple setup. 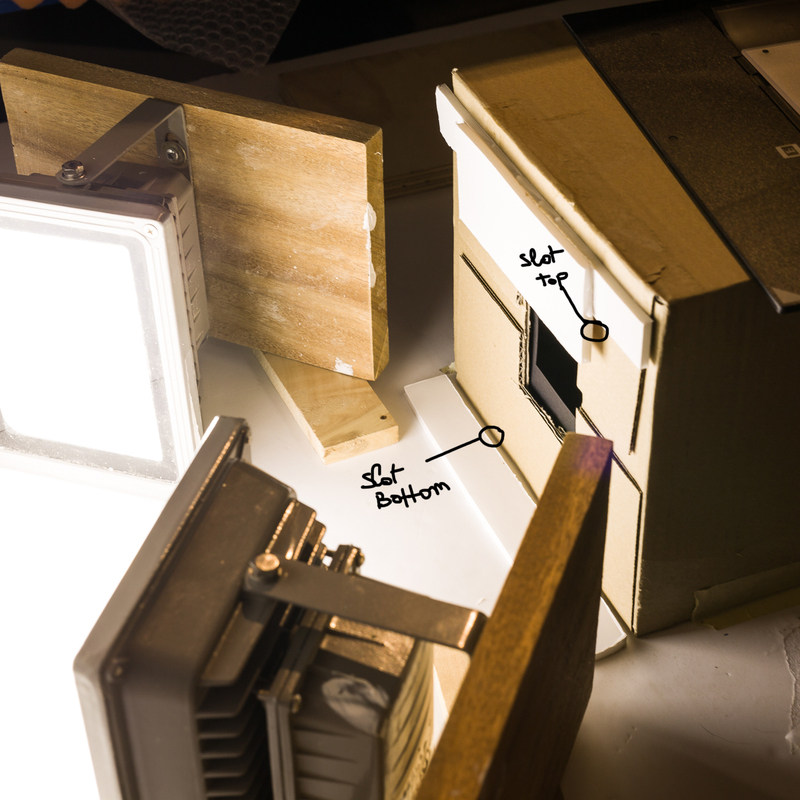 • I have two lamps (generic building LED lamps from a DIY store) that I point to the back, where I have a white foam board installed. I don’t care about the white balance because I work with black and white film, so I get rid of all colour anyway. 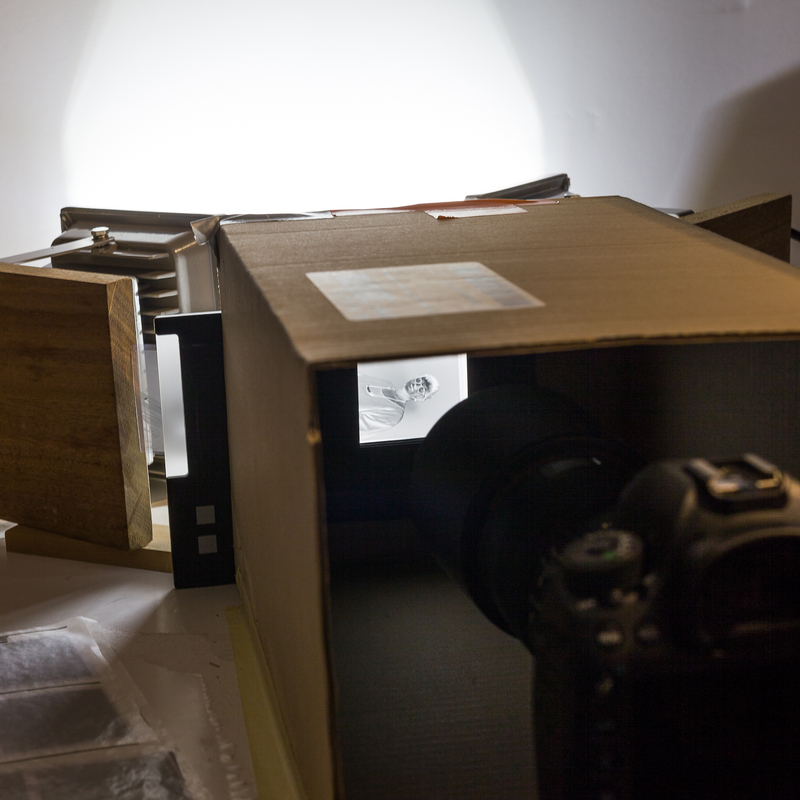 • At a relatively small distance (30cm – 1 foot) I have a cardboard box, fixed to a base board (same white foam board, cardboard box taped to it), with a hole in the back end, a little bigger than the negatives I am working with. On the inside of the box, I have put a black paper, with a square cut hole in it, to better fit the actual size of the negatives. 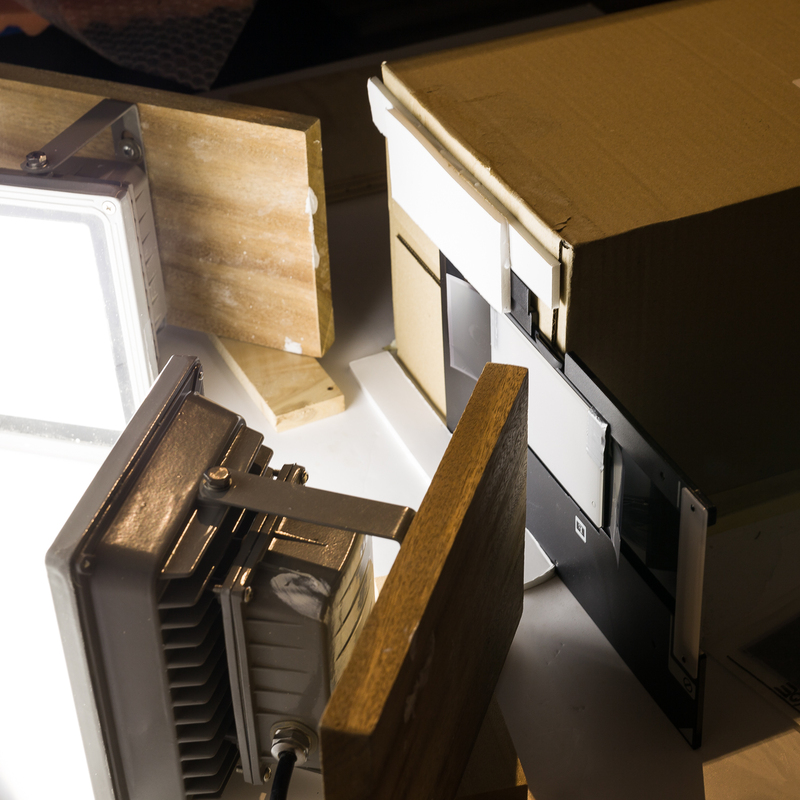 The front side of the cardboard box is open, and takes the camera. • I use a negative holder from an old scanner, but I cut the film frame a tad wider, to be able to see the negative’s edges all around. I kept the original diffusor window. 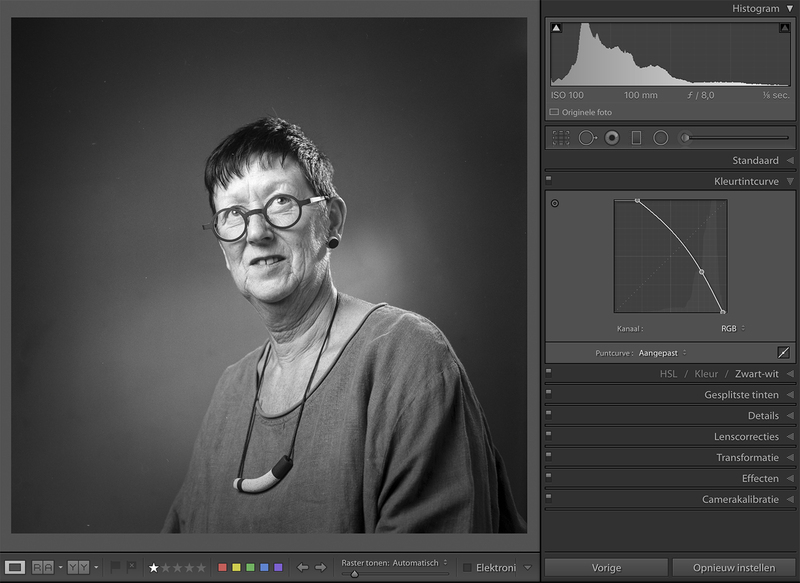 • I import the images in LR and reverse them by using the tone curve panel. 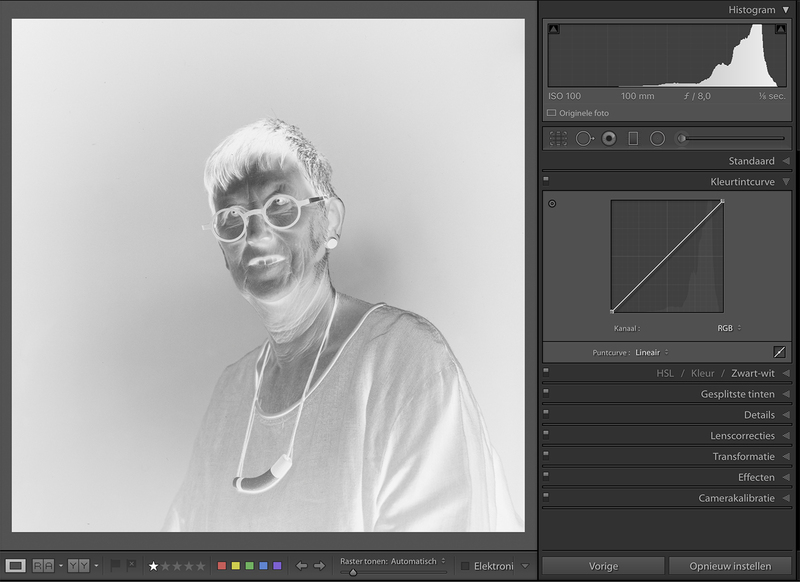 In this same panel I also manage the white and black point settings by moving in the left and right corner point to where the histogram starts/ends, and eventually a lightening or contrast tone curve. 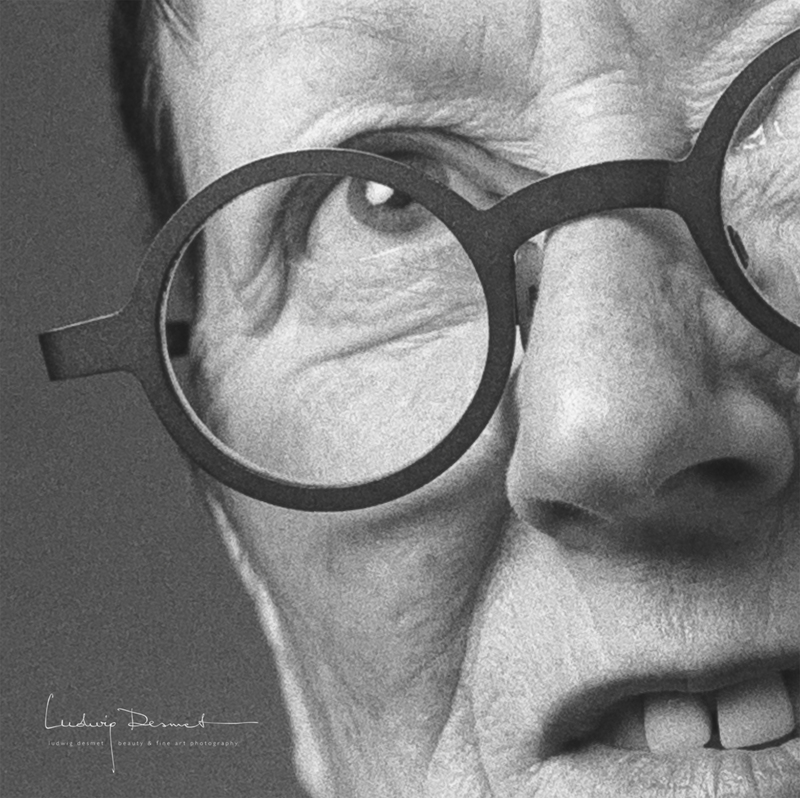 • I remove dust and scratches in photoshop. 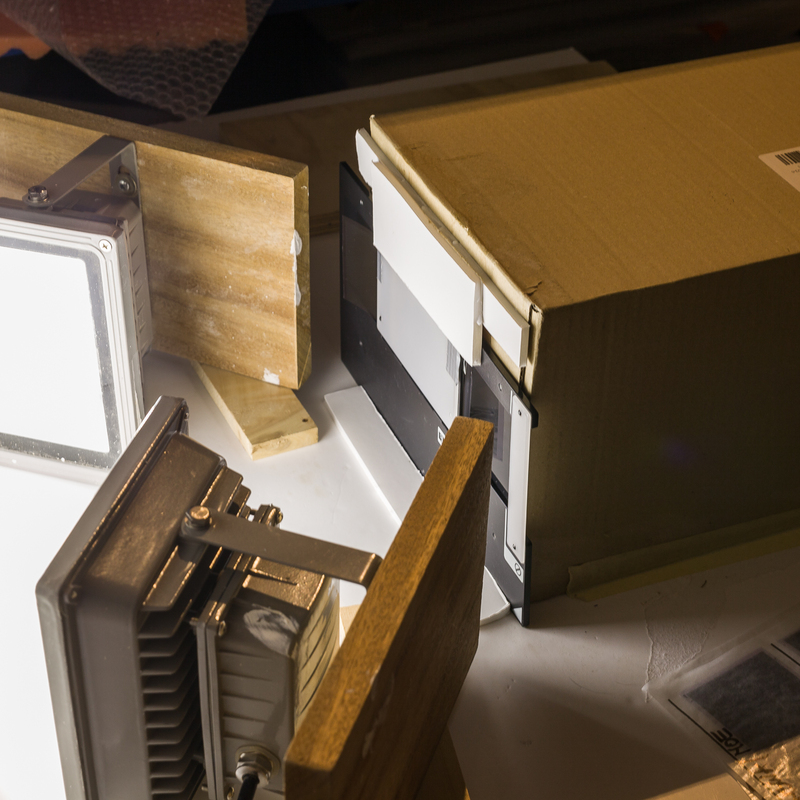 the back end of the cardboard box, notice the black paper frame on the inside, and the (modified today) film holder slot for top and bottom edge of the film holder. 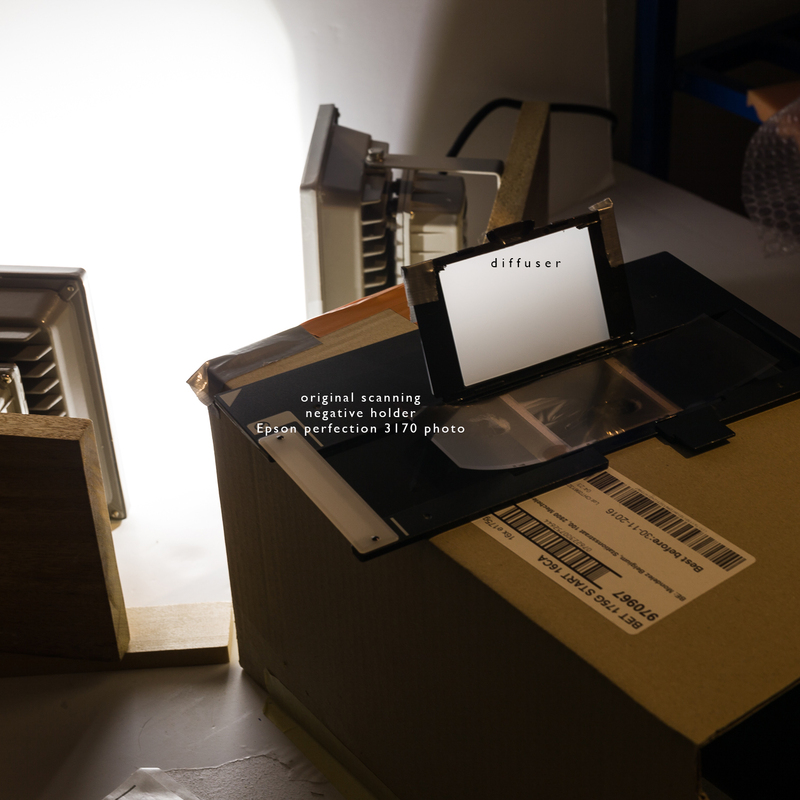 I manage to scan a film of 12 exposures in about 15 minutes, with a resolution of at least 5000×5000 pixels. That is perfectly fine with me, and gives me all film detail, up to the grain in the film. Interessant en duidelijk uitgelegd en getoond Ludwig. Maar hoe zet je alles waterpas, parallel negatief ten opzichte van de camera sensor? ik gebruik de gridlijnen in de live view, en de frame randen van de film tov de randen van mijn beeldkader. Ik heb waterpas in 2 richtingen op mijn camera, dat helpt ook een handje. Als ik niet helemaal rechthoekige negatieven bekom, dan corrigeer ik met de transformatie functie in LR. Dat is vaak slechts minimaal. It is possible to scan color photos with this method? Hi, I suppose this should work too. It will be a matter of finding the right tone curve settings for turning your color negative into a positive that is free of color cast. I’m sure it can be done, but since I only shoot B&W film, never tried it.